We’ve seen a few pairs of Duck Boots in our day, but few have caught out eye like this latest release from Common Project. 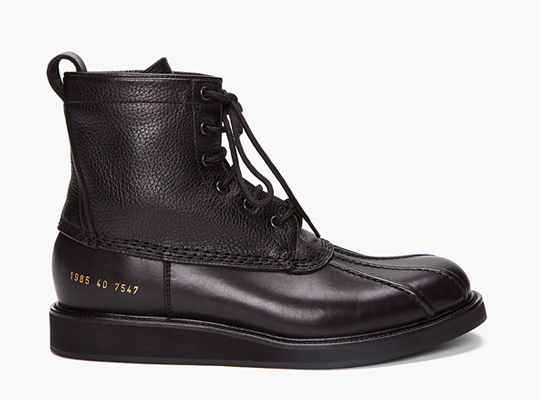 Aside from a beautifully modern black-out look, the boots feature gold-embossed numbering along the ankle. Made in Italy, this is a great way to go ‘heritage’ without looking like you stepped out of a hunting camp. Available now at Ssense.